Another rugged camera was announced today, shortly after the Olympus TOUGH TG-1 iHS. Fujifilm is also preparing for the summer season with the rugged Finepix XP170, which offers a wireless photo transfer feature, 1080p HD video recording and 360-degree Motion Panorama. The Finepix XP170 is also one of the more durable rugged cams to hit the market, with a 33-foot waterproof capability, 6.5-foot shock resistance distance, 14-degree freezeproof resistance and dustproof design. 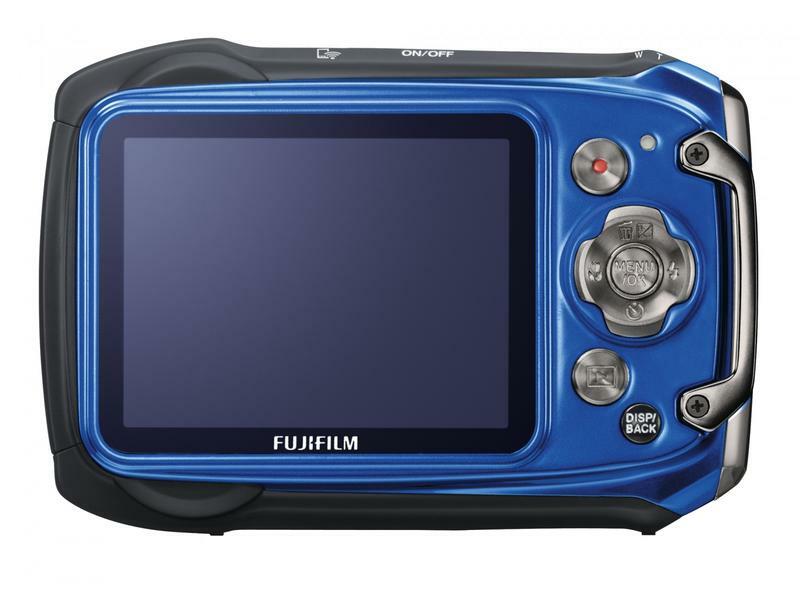 The Fujifilm Finepix XP170 benefits from a Wireless Image Transfer function that links the camera to a smartphone for the ability to upload images and videos to Facebook or YouTube. All Android and iOS owners will be supported via the free FUJIFILM Photo Receiver application. On the inside, the Fujifilm Finepix XP170 has a 14-megapixel CMOS sensor that can capture up to 10fps at full resolution in Burst mode. The camera has a 5x optical zoom lens with new CIS image stabilization, which is a combination of sensor shift and high ISO methods. Videos can be recorded at 1080p/30 for online-friendly motion, and the camera has 360-degree Motion Panorama Mode, which allows the shooter to spin around as the camera captures a full horizontal spread. Valhalla, N.Y., May 8, 2012– FUJIFILM North America Corporation today announced the launch of the all new waterproof FinePix XP170 digital camera that combines rugged protection and durability with a new innovative Wireless Image Transfer function that allows users to wirelessly connect to their smartphone or tablet and then upload images to the Internet for online sharing. The FinePix XP170 is the latest edition in Fujifilm’s bestselling line of waterproof cameras for three years in a row*.The FinePix XP170 digital camera is ideally suited for all of your outdoor adventures because it features Four-Way Protection that is Waterproof to 33ft (10M), Shockproof to 6.5 ft (2M), Freezeproof to 14°F (-10°C) and Dustproof. With all this protection, you are certain to get your most daring shots, all with an extremely attractive camera body that is easy to use. 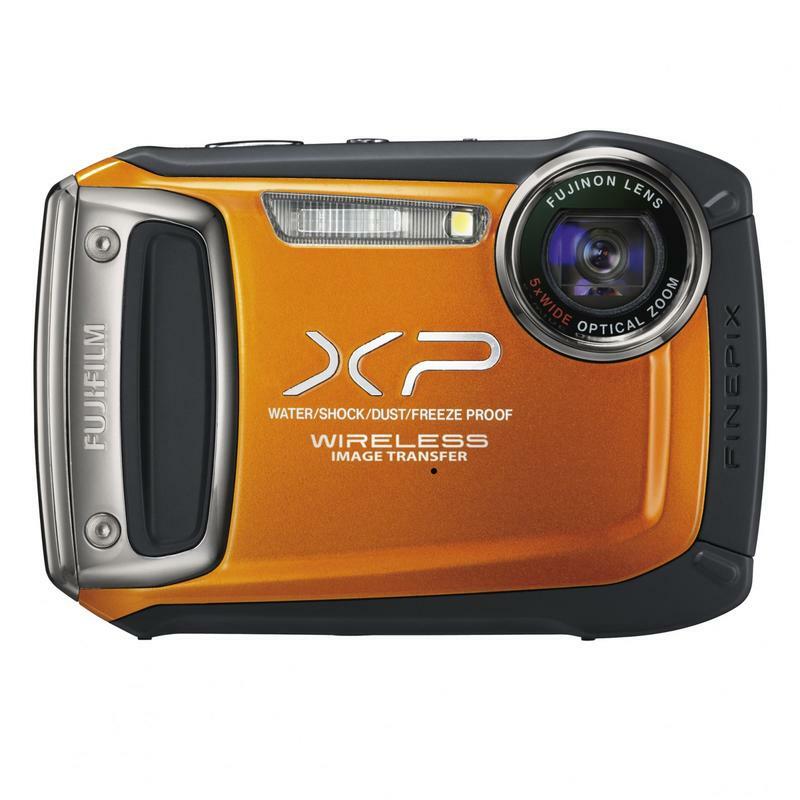 The FinePix XP170 also delivers a bright LCD screen, fast auto focus speeds, comfortable grip, and advanced functionality for all weather conditions. The new FinePix XP170 lets users capture higher quality pictures they would otherwise miss with a smartphone camera that cannot be exposed to the elements, wet weather and cold temperatures. And with the new Wireless Image Transfer feature, users can still share those great outdoor images quickly and easily. The new durable FinePix XP170 features the powerful and performance-driven 14-MegaPixel CMOS sensor, faster start-up and shot-to-shot times, up to 10 frames per second (fps) continuous shooting, a 2.7” anti-reflective, high-contrast LCD that has been brightened for clear viewing even in direct sunlight and underwater, and the high-precision, FUJINON 5x wide angle optical zoom lenses (28-140mm) with a reinforced hardened glass lens barrier and water repellent coating. Wireless Image Transfer The FinePix XP170’s innovative Wireless Image Transfer function allows users to connect their smartphone or tablet to the XP170 and upload high-quality images to social networking sites like YouTube and Facebook in seconds. 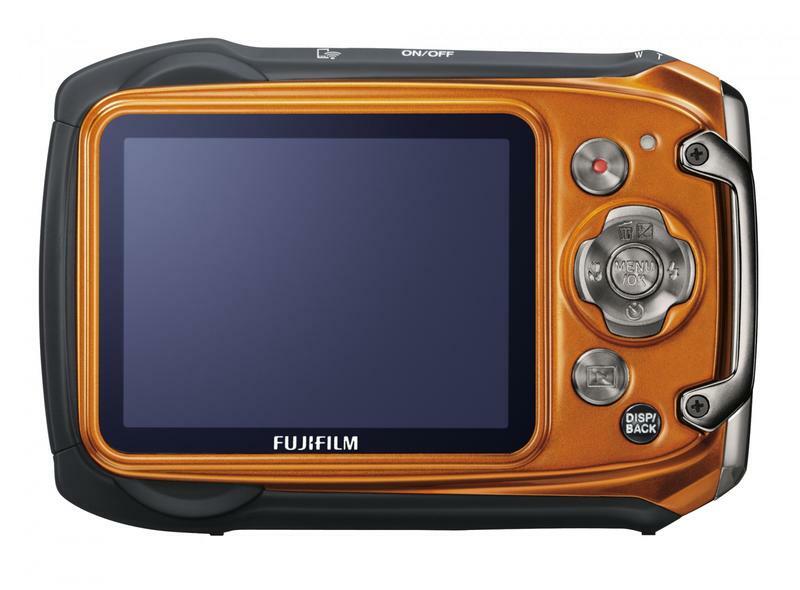 The FinePix XP170 can be connected to any Android™ smartphone or tablet, or the iPhone™ or iPad™ – all users have to do is download the free application “FUJIFILM Photo Receiver” to their device, then follow the simple instructions to get connected. To start uploading, users press the XP170’s connect button to join to a device, then the images will be transferred to the Android™ smartphone / tablet or iPhone™ / iPad™ for uploading to social networking sites. 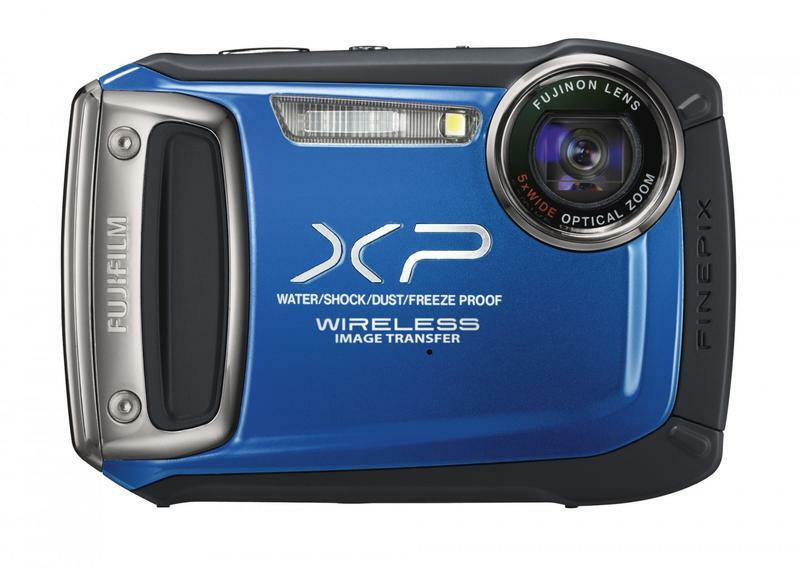 HD Capability The FinePix XP170 offers stunning movies in full 1080p HD – even underwater – with sound at 30fps with one-touch ease. Many consumers are happy to enjoy HD movies on their PC, but with the optional HD Player accessory kit, with wireless remote control (HDMI cable not included), families can gather around their home HDTV to enjoy amazingly detailed stills and high resolution movie playback. Advanced Image Stabilization The XP170 has a powerful CMOS-shift Image Stabilization (CIS) system. CIS works as the photo is being taken as it combines a mechanically stabilized sensor with high ISO to combat camera/hand shake and subject movement for improved low light shooting. The result is an expanded range of shooting situations where the camera can be used without the need of a tripod or other support. With CIS working in the background, you can capture sharp, colorful scenes and portraits underwater or at night. Tracking Auto Focus (AF) Created specifically to capture an action shot, the AF function tracks fast moving subjects so they don’t escape from the frame in a blur. Subjects will be tracked automatically for as long as it is kept in the frame and the shutter is half-pressed. When users fully press the shutter button, the subject will be in the center of the photo in perfect focus. 360° Motion Panorama Mode: Automatically creates a stunning panoramic (horizontal or vertical) picture. Scene Recognition Auto (SR AUTO): This mode intelligently identifies the scene type and necessary shooting conditions to optimize picture perfect potential. Face Detection and Automatic Red-eye Removal:To provide perfectly exposed and focused portrait shots, the XP170 uses Fujifilm’s latest Face Detection technology which is able to track up to 6 faces simultaneously. The system instantly corrects red-eye and then saves both the original and the corrected image file automatically. Li-ion Rechargeable Battery: The XP170 has an extended-life rechargeable Li-ion battery with charger for up to 300 shots per charge that allows users to shoot all of their images without worrying if the camera is going to last for the duration of their trip. 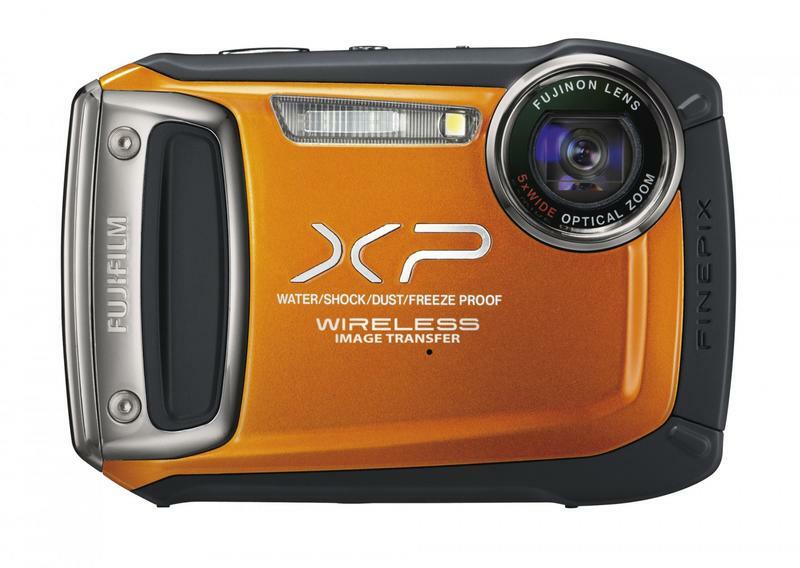 The FinePix XP170 will be available in June 2012 for $279.95 in blue and orange.